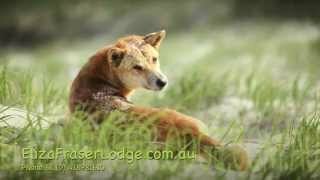 Eliza Fraser Lodge offers exclusive, all-inclusive, luxury accommodation in remote Orchid Beach, Fraser Island. Expect an indulgent eco-lodge experience to rival the world's best. Comprising four bedrooms and accommodating up to eight guests, Eliza Fraser Lodge offers small groups, of up to 8 guests, premium hosted accommodation fully inclusive of meals and nature based activities. A truly unforgettable experience. Whether its fishing, beach worming, nature walks, photography, four wheel driving adventure, your next workshop or just relaxing you are looking for you can't go past experiencing the true coastal beauty of Fraser Island at Eliza Fraser Lodge. Eliza Fraser Lodge offers small groups premium hosted accommodation fully inclusive of meals and nature based activities. A truly unforgettable experience. Two bedrooms with private en suite (King or twin bed option). Two bedrooms with shared bathroom (King or twin bed option). For more than four guests shared accommodation only is available.